Today is National Winnie the Pooh Day! The 18th January is National Winnie the Pooh Day! The day was named in memory of A. A. Milne, the original creator or Winnie the Pooh, as his birthday was on 18th January. The stories featured the yellow teddy bear, Winnie the Pooh and his adventures with his best friend, Christopher Robin, who was actually A. A. Milne’s son. The character of Winnie the Pooh was inspired by a female black bear named Winnie who was kept at London Zoo during the First World War and who Christopher Robin was very fond of, so much so that he named his teddy bear after her! Since the 1960’s, Disney have owned the rights to the Winnie the Pooh characters and re-designed him into a cartoon character along with his friends. 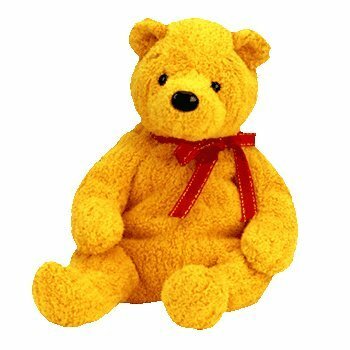 Since this is a Beanie Baby collector website, I have put together a list of a few of the Winnie the Pooh Beanie Babies that were released. This Beanie Baby was released on 1st January 2013! He is modelled on the Disney design of Winnie the Pooh. 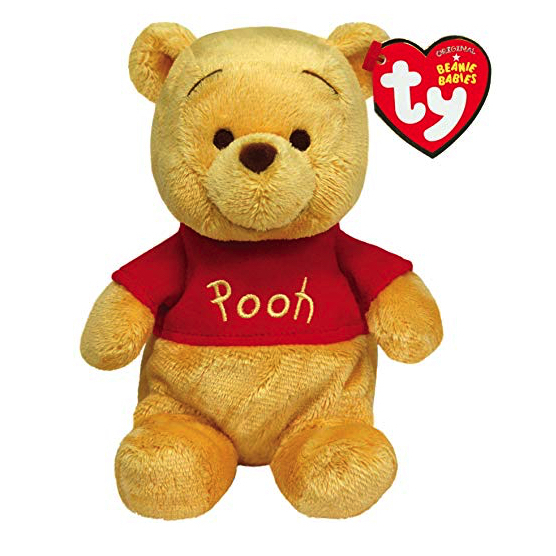 This was the second Winnie the Pooh Beanie Baby released. 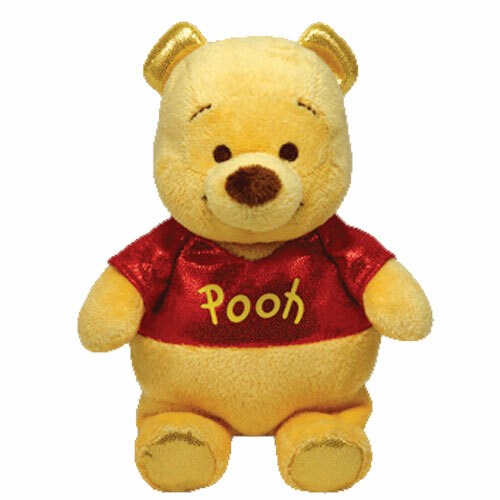 This is the Disney Sparkle version of Winnie the Pooh released in July 2013. His t-shirt has been re-designed using sparkly red fabric and he now has sparkly gold ears and feet. 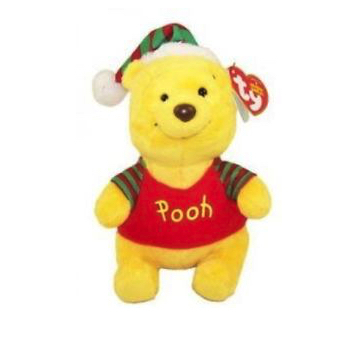 This festive Winnie the Pooh wears a Christmas t-shirt instead of his plain red one. He also wears a striped red and green Christmas hat. This Christmas edition of Winnie the Pooh was exclusive to Walgreens. Technically, this isn’t actually a Winnie the Pooh bear at all. This was one of the most controversial Beanie Baby bears ever released! Not only is the look of Poopsie a complete knock-off of Winnie the Pooh, the name is also remarkably similar! He was retired the year after his release. What do you think of this list? Are there any other Winnie the Pooh Beanie Babies I’ve missed out?